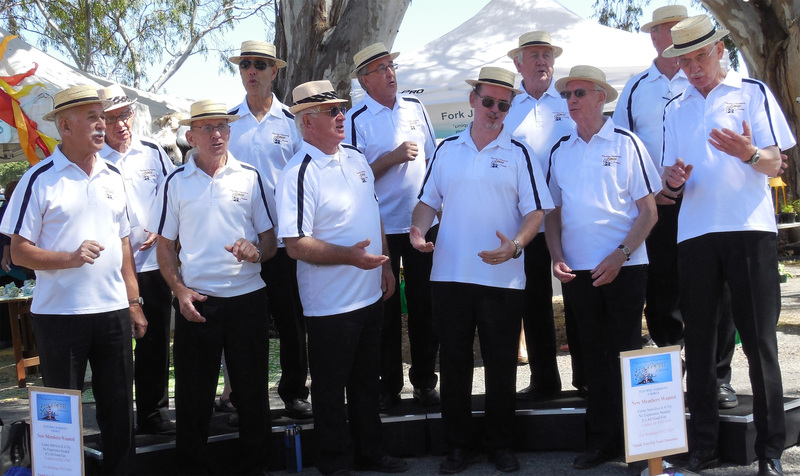 The Fleurieu Harmony Chorus is available to perform for your next group function at very reasonable rates. We have a large repertoire of old and new songs which we perform a cappella in four part harmony. Many of our songs are performed in Barbershop style giving the songs a rich, close harmony which will transport the listener to a wonderful place. Formed in 2000, the chorus has developed a strong community focus, performing for a wide range of audiences including retirement villages, service groups, sports clubs, local councils, residential care centres, businesses, local shows and local churches. We are always looking for new members to join our chorus. No experience is necessary as we will teach you how to sing using easy-to-follow learning tracks and give you lots of personal coaching for free! We have a number of social functions through the year and you and your family will make a lot of new friends. Membership is very reasonable $30/year and $2/week in subs.